If you’re on Instagram, you may notice that samples are an accepted way of life in the bourbon community. There are lots of reason why people do this. They may want to share some hard to find bourbons with people who can’t get them because they’re nice people, they may be trading with some friends that are in different places, or some people even like to send mystery samples to each other to see if they can discern which bourbon they are tasting as a way to refine their pallets. Maybe you’re one of these people, and maybe you’re not. However, let me propose something you may not have thought of before. You should be sending samples to yourself. Seriously, this is something you need to start doing in your life if you haven’t done this before. I’m writing this because I just got back from a work trip this week and made some samples for myself that I took with me. These bottles, which you can get on Amazon, are 2oz, which means you can take them on a plane without any issues. I was all set knowing that I was covered for each night I was there because I had my samples with me. Why would you need to send yourself samples? 2. Hotel bourbon is expensive. It’s really hard for me to justify paying close to the MSRP for a whole bottle or 1/2 a bottle just to get a 2 oz pour. 3. On the topic of money, I have plenty of bourbon at home, why spend more when I’m away when I don’t have to? 4. Sometimes your access to good bourbon on a trip is limited. Most bars will have your standard pours of Woodford, Maker’s, etc, but if you want to venture out, you may not always have that ability. 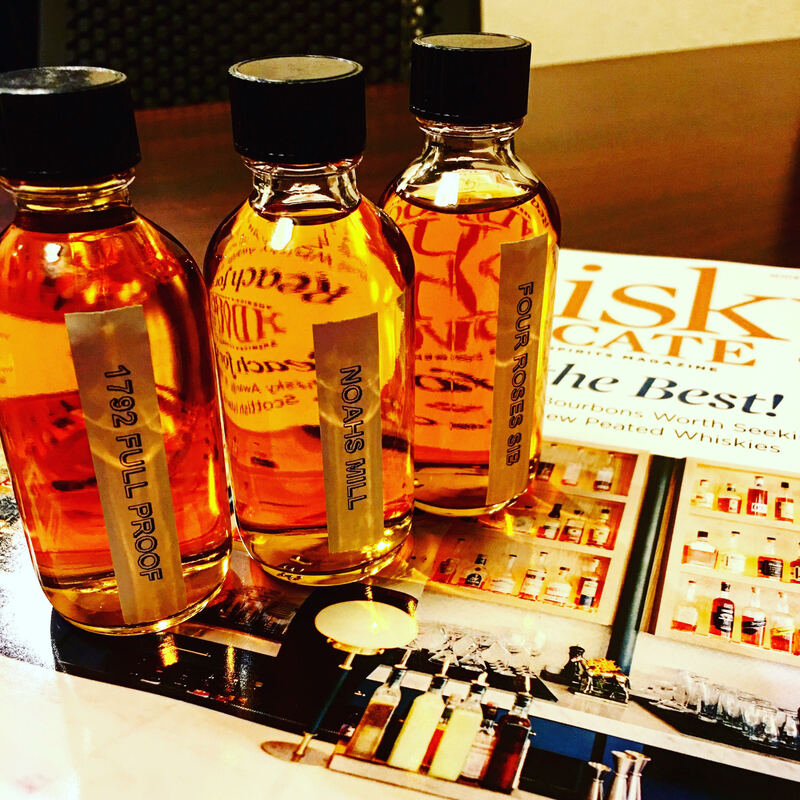 Selecting the right bourbons to bottle on your trip can be essential. I have friends, like the Greeze, who stand by always taking higher proof samples on your trip so that you get the most bang for your buck (on this trip you can see I took his advice). Bringing higher proof bourbons can be great because you know that you won’t need as many and you know you’re really going to get something that packs a good punch. Some good ones for these can be 1792 Full Proof, Noah’s Mill, Four Roses Single Barrel Barrel Strength, Maker’s Cask Strength, Stagg Jr., or Elijah Craig Barrel Proof. Since you know you’re going to be away from home, don’t be afraid to pour something you enjoy. You may prefer ryes or wheaters, but either way we just hope you get a good drink while you’re away from home! Either way, just enjoy yourself. There’s many reasons why you may want to send yourself a sample, no matter what, you know you’ll enjoy it!